What is auditory brainstem response? 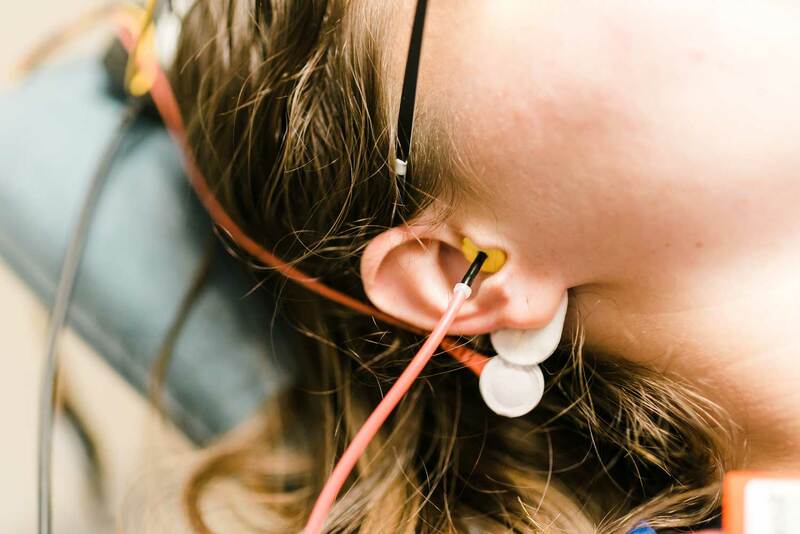 The auditory brainstem response test, also known as an ABR, assesses the hearing pathway all the way up to the brainstem. The patient may need to undergo this test if they have a hearing loss only in one ear, or if they have significantly more hearing loss in one ear than the other. This test helps to identify where exactly the hearing loss is coming from - either from the inner ear organ, known as the cochlea, or another place along the auditory pathway. 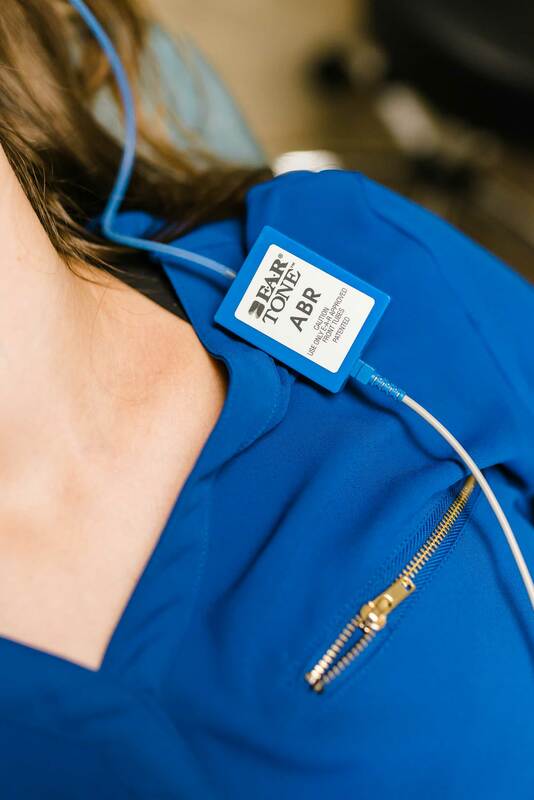 The ABR is a very simple test that begins with the audiologist placing sticky electrodes to different parts of the patient's head/face. 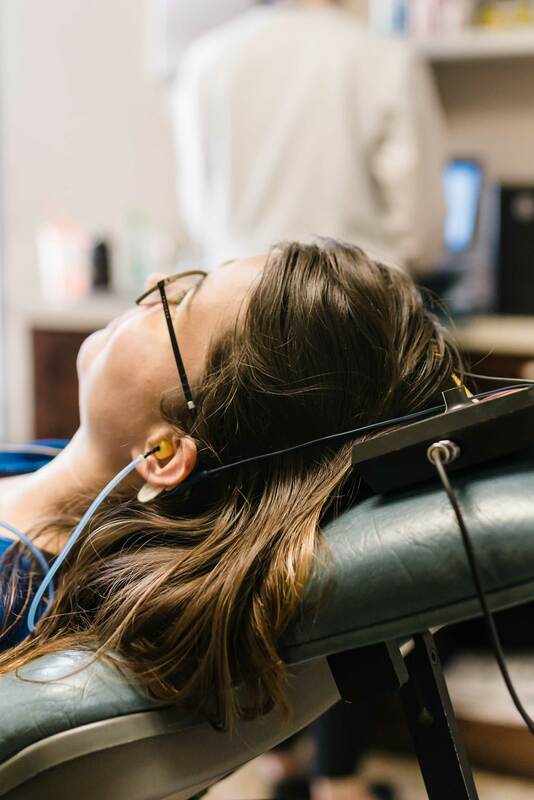 The patient will then listen to a loud clicking noise through earphones, while resting in a reclined chair. There is no need to respond to the sound - some people even take a nap! 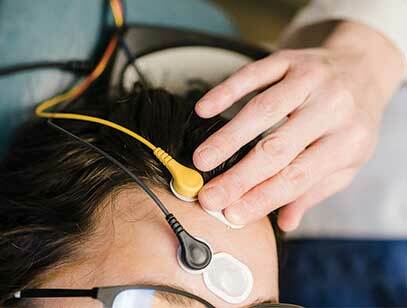 Brainwave activity is recorded on the computer and is then analyzed by the audiologist. 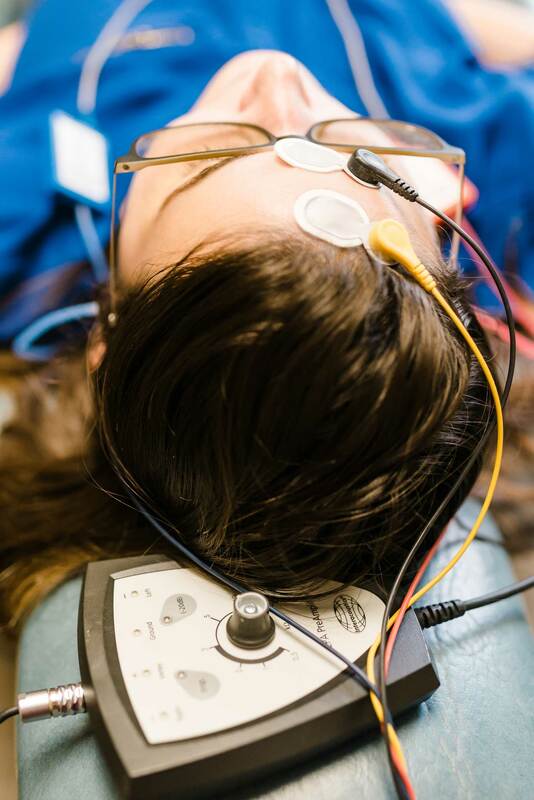 Typically the test takes only about 10 minutes after the electrodes are placed! 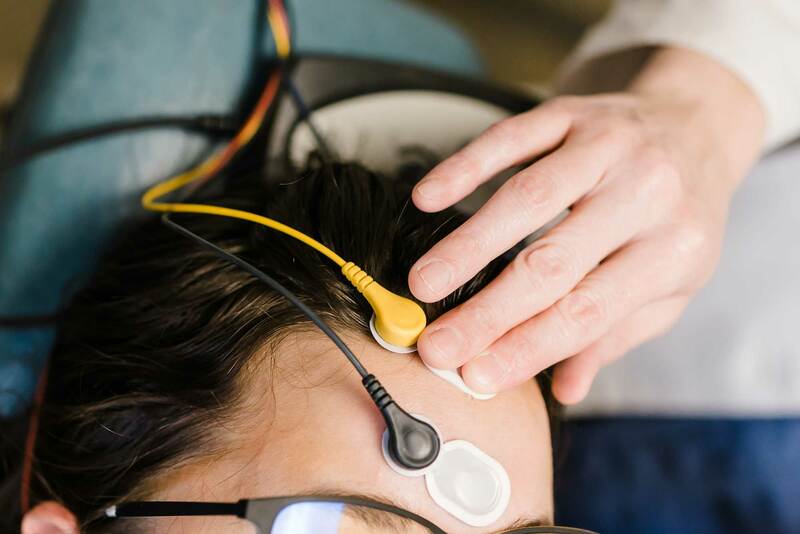 After testing is completed, the audiologist will interpret the test results to determine if the ABR test is normal or if further evaluation is needed, such as an MRI. The test results are usually discussed with the patient immediately after testing is completed. The test results are then sent to the referring physician where further testing referrals are made if necessary.